Joining me is Tim Fargo and today we have an interview with a non-tech founder. Tim Fargo was a co-founder of Omega Insurance Services which was sold to First Advantage. I’m hoping the story of how he built his business and sold it will cross all barriers in entrepreneurship. Andrew: Hey there, freedom fighters. My name is Andrew Warner. I’m the founder of Mixergy. Joining me is Tim Fargo. Tim, before I give you the official introduction, I thought on camera, here in the interview, openly with everyone watching I could admit to you why I needed an extra five minutes before we started the interview. Can I be completely open with you? Tim: Yeah. Go for it. So, I started researching you and researching you and researching you and then I found all kinds of stuff about you from the past, which made me feel better. But the thing I was wondering is, the reason I don’t know you is because your company was Omega Insurance Services, that’s what I want to talk to the audience about, how you built that up. That’s not a tech company. What’s your interest in doing a Mixergy interview if you’ve got that background? Tim: Well, there are some things I think that translate across all barriers in entrepreneurship. I’m a fan of yours. So, that was another lead in. Tim: I’m a Premium member. Tim: If you’re not already paying, start paying. Andrew: Do you, when I say something like this in an interview, do you wince the way some people do, like, “That’s an uncomfortable moment that Andrew just created? He must not have human skills.” I’m going to start an interview by telling you that I was looking you up to see if you were BSing me. When you’re listening, does that feel uncomfortable to you? Tim: You’re asking an investigator that? No. That doesn’t really bother me. I’m very used to trying to make sure that the person you’re talking to is actually who they say they are. They have a real story behind them and it’s something they kind of concocted in their parents’ basement. Andrew: You know, one thing that I saw was an article in Inc. Magazine from 2003 where Inc. was taking CEO questions and having their editors respond to them. Your question was something like, “I built up this company,” actually, not something like–let’s just see if I can read it right here. I saw that and I said, “Tim is just promoting his company on Inc. Magazine. He’s not looking…” Every word of this except for the last sentence is promotion about how big you got and makes me want opt see what this company is. So, I thought, “Maybe he’s using me too.” But not, sure enough, you were in there. You were in Inc. 500. I have another tab open here. Actually, let me ask you about that article. Do you remember that? Andrew: Was it what I thought it was? Tim: Yeah. We were trolling for PR. We were up for sale. Of course there are all the fundamentals and synergies that buyers talk about that everybody wants their baby to be certified in some way. So, more press clippings helps. Andrew: And that was March, 2003. You sold the company September 10th, 2003. So, whatever you did worked. Tim: Something. I don’t know if that was it. But I didn’t want to leave anything to chance if I could. Andrew: Omega Insurance Services did what? Tim: We were investigating bodily injury claims for insurance companies. That principally consisted of conducting surveillance. Andrew: I see. If somebody says they are injured, are they really injured or are they going out partying at night? That’s the kind of thing. Tim: Correct. That’s the sort of investigations. Andrew: I should say today you’re running a site called Tweet Jukebox.com, bringing it back to my introduction. Tweet Jukebox allows me to plug in all the tweets that I’d like to send out throughout the day or week and the Tweet Jukebox will do the job of tweeting for me while I’m sitting on my desk working or out with my family. You were telling me before we started recording that you just added another feature. What’s that? Tim: We added a store because what we found–actually, this was something that really wanted to bring up in some way in the interview anyhow. The store came out of me listening because I do all the customer support, all of it. When we first were getting going, we put a sample Jukebox in. The idea was it was almost like a mannequin, if you could imagine, so people could understand how the system worked. It’s almost like if you had a sample spreadsheet so you could understand the interaction of the numbers. So, anyway, we did that and the people were asking me. They said, “Tim, why don’t you have more of this content? We really like it.” I said, “No, no, you don’t understand what I’m trying to do here.” I considered it kind of a techie tool for more like social media influencer-type people. But there were other people that were like, “This is awesome because I can grab some content and use it.” So, finally, the scales peeled away from my eyes and I realized there was an opportunity there. So, what we did is we said, “Okay, there are a lot of people that are influencers that are looking for eyeballs and want their content to be spread.” So, we’re letting those people construct Jukeboxes for the other constituents and clients that want content to tweet out to their audience and it’s kind of like they can pick a brand of different people and then tweet that out to their audience. Andrew: I see. So, people like the sample content so much they wanted it for themselves. So, you created a store where they could get content written for them by the pros. Andrew: They don’t have to do it themselves. Andrew: All right. Let’s understand how you got here. A large part of the transformation happened when you were in court because of a bankruptcy and you looked around and you saw what? Andrew: What do you mean? What did you see in that court room that made you feel like it was “The Jerry Springer Show” where fights would break out and people would air their dirty laundry? Andrew: What were the excuses that you were making? Tim: Oh, that I somehow just miscalculated by a little, when in fact I pretty much miscalculated by a very wide margin. Andrew: I see. So, this is 1991 before you started Omega Insurance. You had gone bankrupt. You thought you were special. You thought that you just made this little one mistake, but here you were in a room full of people who were all really at zero just like you. You were all worth the exact same amount. Andrew: What did you do that got you there? You used to mow lawns as a kid. You used to do snow shoveling like I did, right? You were business-oriented from a young age. What was the business that you started and what was the big mistake? Andrew: I know that feeling. Tim: And it just didn’t happen. I’d love to try to put a bunch of window dressing on it. It’s really just my ego. I wanted to believe I was going to somehow at the last minute it was going to be some kind of Hollywood movie ending and I was going to be swept away to fame and fortune. Instead of swept away to bankruptcy. Andrew: Tell me if I’m projecting my own personality on this or if I’m understanding you right. But I sometimes get the sense of, “Why should I look at the books so carefully that I monitor how much each little $100, $1,000 expense is when those things are so small compared to how big I’m going to make this company. If I spend time on the $100 or the $1,000 expense or the little stuff, I’m going to take my eye off of the big opportunity and how can I get to that?” Is that what you were feeling or am I projecting? Tim: No. I think that’s pretty accurate. That was definitely a case of–you know, I had events that were out, like people had asked us to do things and we were in the process of trying to get that book of business. But I was spending in advance of that and really believing that I kind of had special powers or something, I guess. Andrew: What was your special power? Tim: Probably being a pretty good salesman. Tim: In the end, I think a little bit of prudence on the expense side is so critically important. Tim: I shouldn’t have been chasing around girls so much, to be honest. I mean, I could try to tell you something that would sound much more intellectual. Andrew: What would you do to spend money to chase girls? Tim: Expensive restaurants. “Let’s go out. Oh, of course we can have that. Of course we can have champagne.” You don’t want to say, “Hey, I’m an entrepreneur but anything on the wine list in this section here that costs less than this.” When you’re a young guy and you’re after–you’re out kind of on the hunt, so to speak, usually bringing up a budget in the middle of a date is kind of like a buzz killer. Andrew: You know me well enough to know that I’m going to go deeper with this. If we were to go a little deeper, would you feel that this came from a place of insecurity around women? Tim: It’s not going to bother me. Andrew: Why do you think you did that? There’s clearly a sense of needing to impress, right? Were you trying to impress them? Were you trying to impress yourself? Tim: I think I was trying to impress them. I suppose that’s a recurring theme through my whole life. I’d be lying if I said otherwise. I’ve always been programmed to try to be the start pupil and get the good grades and make money and make Mom and Dad proud. Andrew: I see. You were adopted. Do you feel like the need to make Mom and Dad proud was different because of that? Tim: Well, I don’t know any other way of being, so it’s pretty hard for me to say. I don’t have a tremendous amount–at least I don’t think–of baggage around that. I was really fortunate. I actually have a blog post about how hard–my mom went through like four miscarriages before she adopted my brother and I. So, they were a testament to perseverance to have kids. So, I was really, really, really lucky to have them as parents. I think that perseverance probably rubbed off and was helpful. But as far as going back to the impressing, I don’t know. I’m not smart enough to answer that question. I’m not trying to duck it. I don’t think I have an answer for you. Andrew: I tend to think that this kind of showing off can actually be helpful for some entrepreneurs, this need to prove yourself, this need to impress. Do you feel that later on it helped you? Do you feel it ever helped you? Tim: When I married it with a greater sense of thrift, yes. Andrew: I see. So, when we’re looking at this Inc. article, it’s not you just trying to show off by buying the expensive wine, it’s you showing off with a sense of thrift by getting free promotion for your company and a sense of strategy because this promotion was going somewhere. I’m talking about that article, that ask the editors question that I looked at in 2003. That was thrifty and strategic. Tim: Absolutely. I think that after the bankruptcy occurred–I’m not saying I never went out and went a little crazy with money because of course I did, but it was very targeted, if you know what I mean. Instead of just, “Hey, life’s great. Life’s fun.” It was sort of when I knew that I had banked the money–not receivables, not promises, not deals in the pipeline. When I had the cash in my account and the bills were paid, then I would every now and then let myself have a little extravagance. Andrew: I see. By the way, the reason–for the audience and I guess for you too–that I’m asking questions like this is I think the decisions we make as entrepreneurs don’t come from a mechanical, robotic place. They come from a sense of the way we see the world, of our needs in the world. I think that the only way to really get an understanding of how someone did something and how we can do it too is by really understanding them and ourselves. That’s what I think separates Mixergy from other interview programs where I see they will ask a set of rote questions–“What’s your favorite word? What books do you recommend?” and so on, the kind of stuff that doesn’t get you to understand the person but makes you feel like you’ve done something because now you have some homework to go read another book. This is the homework. You are listening and we’re talking here because you want to have a real understanding. Not because we want to go back and get another book that’s going to direct us to another article that’s going to direct us to another thing to do. We’re here to understand and then use it. You then started another company? Do I have that wrong? Tim: Well, it took a little bit of time. I kind of drifted, so to speak. What I thought I was going to do, I thought I was going to get a PhD in consumer psychology. That–I was just not suited for that. Tim: Very regimented, a ton of work. I actually told my doctoral advisor when I was in the process of quitting. I said, “Chris, if I do this much work in the private sector, I won’t be tenured. In ten years, I won’t have tenure. I’ll be rich.” I was off by like six months. It was crazy. It was a crazy amount of work. But not in the same kind of entrepreneurial way where it was more this kind of constructed path of, “You need to do this.” Honestly, with all due respect to any academics who might be listening, to me, there’s almost a sense in that particular realm of, “I was treated like this when I was a doctoral student. So, I’m going to treat you like this.” It’s sort of, “This is the admission to the club,” kind of thing. Andrew: Pay it forward hazing. Tim: Yeah. I’m not big on suffering abuse. Andrew: You were a partner before Omega Insurance with another investigative firm. How did you get into this whole business? Tim: Wow. There was a guy that I met in Guatemala. We stayed in touch. He came stateside through a variety of circumstances. He ended up in business with another guy. I was actually living in South Beach. I was working for real estate guys as an accountant. They had contacted me and said, “Why don’t you move to Birmingham, Alabama?” I thought that was hilarious. I was like, “You want me to leave South Beach to move to Birmingham. Is that the punchline?” Birmingham is a lovely town, but for a young guy, South Beach was a little more interesting. But anyhow, time passed. I met the woman who ended up becoming my wife and it became a much more interesting idea to maybe go there and not just be working for some crazy guy who was buying a lot of real estate in South Beach. So, I ended up going to Birmingham. I went into business with those guys. Andrew: You went into business with them but you were doing a lot of the work. Tim: Well, in the beginning, I was the accounting guy and the systems guy. This was back when being a systems guy was actually much more simple than it is now. Now, every little fragment of a PC is an actual business. Back then it was like you could take the thing apart and it was much more simple. Anyhow, I started out doing that. Then all of a sudden I was taking care of operations and I was taking care of sales and marketing. I was overseeing admin. You start to look around. There’s not a whole lot of the org chart that’s not under you. I wasn’t really getting comped for all that. Andrew: You were a partner though. Tim: Very much a minority partner. Andrew: I see. Okay. So, what did you do as a result? Tim: Well, I suffered through it or did my job for a long time. I tried to encourage–as a majority shareholder I said, “Look, let’s make a deal. Give me some more shares. Give me some more comp and I’ll grow this thing for you. But I just want you guys to kind of get out of the way.” But it just never happened. So, this went on and on. I was actually driving back from setting up an office in Orlando. I got a call from my one partner. He was berating me on the phone that the sales team was getting over on me. I thought, “This is hilarious. I’ve just setup our email server in this office in Orlando and have been working with the sales rep there.” I’m supposed to be flying to Birmingham the next day to introduce a 401(k) program to the employees and now I’m being dressed down about getting the sales staff fired up. Andrew: And that’s when you went and started your own company? Andrew: Let’s take a pause here and just do a sponsorship message and then come back and see how you launched Omega Insurance, how you built it up, what led you to launch Tweet Jukebox. But first, my sponsor is HostGator. If you need a website, I urge you to go to HostGator.com/Mixergy. They have one-click installs so you can install very popular software like WordPress, get your site up and running in seconds. They have thousands of themes. In fact, let me see. I’m going to go to HostGator.com/Mixergy. I usually have it up on my screen but I had all kinds of investigative tabs on my screen today. There it is–4,500 web templates. Tim, let me ask you this. If you were to start today right out of bankruptcy court, you have nothing going for you except a web hosting account. Do you have an idea for a business you can start on the cheap and get yourself back up on your feet, maybe build up another empire? What would you do? Andrew: You could do content. You could do sales. Tim: I think I’d go with content and try to find a niche of people who needed help. I say that because–because my own mistake when I first started trying to sell my book. I was too general. You focus on a niche because it makes your marketing easier. So, pick some people that you feel are underserved. Andrew: Who would that be? If you look around the world today, 2015, who do you feel is underserved? Tim: I think a lot of people. It’s a crowded space in terms of market entrance, but I don’t think it’s a crowded space in terms of expertise. I think a lot of small businesses really need help to understand content marketing and to sort of bring themselves live. Every business is a little different, whether it’s video that’s going to work with the owner and their own dynamic of the business or it’s going to be blog posting or whatever it might be to help some smaller business understand that they can reach a very large audience very easily. But they’ve got to be targeted just like I would have to be and pick those. I guess if I had to say I’d probably go geographical. Andrew: I see. So, you would create probably a blog if you’re talking about content that focused on businesses and helped them get online or not online but at this point but get them to use the power of social media and then that wouldn’t lead to millions of dollars. Where would the millions come from? Would you eventually create a tool for them? Would you sell advertising and create a bigger media empire? Which direction would you go on? Tim: Well, let’s take Tweet Jukebox as an example. The tool wasn’t built. I didn’t sit down with a group of people and go, “Well, let’s come up with a marvelous idea to go and take over the world.” I had it developed by a friend of mine. It was actually the first guy I ever worked for and used to be the head of IT for Omega. It was developed for my own personal use. So, my point here is I was solving a problem. I perceived there to be a hole in the market for what I wanted to do. I think that ends up being the best possible business. When you’re mad or you’re frustrated, usually you’re experiencing a business opportunity of some kind. Tim: So, I don’t know if that’s an answer. Andrew: That’s a really good point. So, here’s the way I would do it. Again, if just came right out of bankruptcy court, I’ve got nothing going for me, I would start with content also. Content is so easy to do. Looking around the world today, we’re looking at middle of 2015–I think that wearables like this stinking Apple Watch that I have on. I call it stinking because look, I’m moving it around–there it is. It finally turns on. I can’t even see the time on this thing, right? It’s that slow. But there’s a ton of promise in this thing where in the future it will just be available and turn on. The apps on it will actually do stuff. I think that creating a blog about wearable technology and then focusing it on the Apple Watch because that’s where the excitement is or the Android Wear watch. And then recording everything and getting to know the developers in that community and getting to know people’s problems in that community and selling some ads, frankly, because you’ve got this really targeted group of people is a great way to start. And then you can take that into creating software or you could take it into creating analytics software that goes into other people’s apps or find whatever other problem your customers have and create that and that’s where the next business can be for you. But I’m with you. If I were to start with content, I would look for something niche. I’ve been looking, frankly, as an Apple Watch wearer trying to find blogs about it, I don’t see much. It’s just another tag on websites like Cult of Mac and 9to5Mac. Well, it would be click the one-click install for WordPress and maybe I look at some articles online and create blog posts about that. What the next step be? I’m not even hitting publish. I’m not going to sell any ads. Let’s just play with it on my own on a Friday night or a Saturday morning when everyone else is playing video games. I’m going to explore this. That could be your thing. Then if you like, you publish it, if you don’t, delete, start over and create another website, maybe then you try drop shipping. But experiment. Not on paper. Not in your head. Not talking to your friends, but by just creating this site in an hour. HostGator.com/Mixergy–I keep saying slash-Mixergy not just because I want credit and I do want credit. I do want credit. I want HostGator to know that I’ve done a good job for them. But because I want you to get 30 percent off. 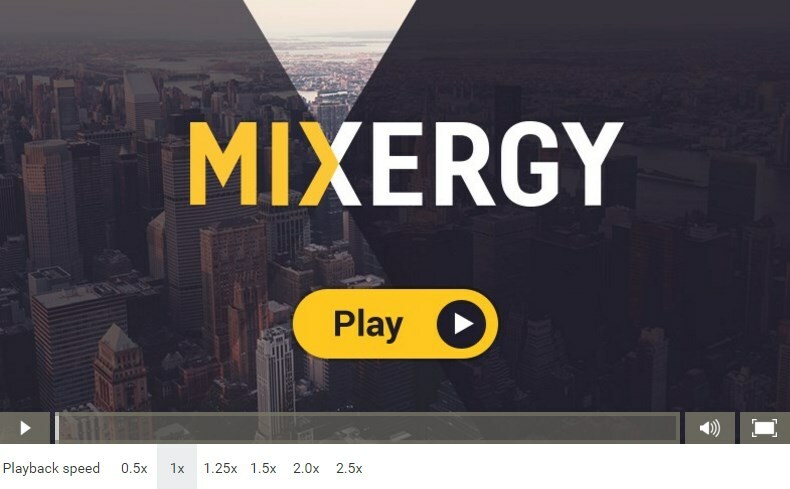 Go to HostGator.com/Mixergy. Get 30 percent off and shoot me an email for what you’ve built. I want to see it and I want to help you promote it. Tim, thanks for helping me with my sponsor. You’re out. You start your own business. That’s where we were with the story. And then immediately you get hit with the great American first step of so many business, a lawsuit. How much were you sued for? Tim: I played it off to them. But I was a combination of worried and also pretty angry because I just thought I was ridiculous. I didn’t have any non-compete or anything else. I gave pretty ample notice that I was frustrated and so on. It wasn’t like this came out of nowhere. I was like the happy guy that suddenly vanished and started his own thing. But I was concerned, in particular because the majority shareholder was a lawyer. As you probably know and in case some of the people are listening don’t, being right doesn’t win lawsuits. Very often, you can be covered up in paper so deep and you will spend so much on fees that you will just evaporate. Andrew: You can never get it to court. There’s this belief that, “All right. I’m in the right. At least I’ll go to court.” You could never even make it into court. You could go bankrupt before you get in there. Andrew: So, why didn’t you go bankrupt again with this $10 million lawsuit that this guy could continue to press on until he destroyed you? Tim: I hired a really, really, really good litigator. Andrew: I see. So, you had money at the time to do that? Andrew: So, where did you get the money? Tim: We paid him as we could go. I told the guy up front. I said, “I promise I will pay you if I’ve got to go start shoveling now again. I’ll find a way to pay you,” not maybe in Florida, but, “I’ll find a way to pay you but I need to get through this.” He completely understood the position we were in. he was a great guy, Will Hancock. Still in Birmingham. Great lawyer. Look him up if you need a lawyer in Birmingham. No. He did an exemplary job. No funny business with the clock. This is another thing for entrepreneurs. Don’t ever let your lawyer into like, “We’ll sue them back.” Litigation is like quicksand. The less movement the better unless you’re incredibly rich because the only person that’s going to walk away with satisfaction in that situation is probably the lawyer. Andrew: Wow. I would have thought sue them back was a good idea because then you threaten the other person and he wants to walk away and you’re saying, “No, it’s not.” Instead, what did you guys do to resolve this? Tim: For one, we got it removed from Alabama court to federal court, which puts it in a non-politically appointed judge’s hands. It’s a really, really big deal. There are huge differences in litigating cases on a state level and a federal level. By doing that, then the case starts boiling down to its merits. They tried to paper over a few things and the judge was just having none of it because the federal judges are busy and they don’t want to deal with this nonsense. Andrew: So, it actually did go to court and you actually got a judge to get frustrated by this as much as you were? Tim: Well, he went through the filings and everything and then they lost on a motion for summary judgment. I spent $40,000 on the way to get that. Andrew: Wow. You didn’t have $50,000, did you at that the time? Tim: No, but I paid my bill. We were making money as this kind of went on. I think the number one thing and the best reason to hire someone even though he was expensive and so on, he was a great litigator and you need to focus on your business. You can’t let your new vision in life to be to win a lawsuit. You do want to win, of course, but another easy way to lose is to focus on the lawsuit instead of your business. Andrew: All right. So, you basically are starting this same kind of company. You have two other investigators with you and you’re doing the same thing you described before, checking to make sure that what people said that happened to them and what they’re going through and what they told the insurance company is real. Andrew: Do you remember one of the early cases. I feel like this is the kind of stuff that’s so fun to hear about, so ridiculous that it could be a great reality TV show. Tim: We had a guy actually in Alabama who was a minister. One of the investigators posed as a theology student. The guy had a right knee injury. He was literally kind of balanced on his right leg, bouncing up and down saying he felt the power of the lord within him. Tim: Yeah. What we were doing is we said, “Hey, we heard great things about you.” We were completely setup to shoot video. So, we were filming the whole thing. Andrew: Oh wow. And he knows you’re filming the whole thing because you setup a pretext. Tim: Yeah. We said we were theology students. Andrew: Oh wow. Your first client was Liberty Mutual, a huge insurance company. How do you get Liberty Mutual as an insurance company to work with you? Tim: Begging. A lot of begging. Andrew: Who do you even beg? I’ve got LinkedIn today. You didn’t have LinkedIn at the time. I don’t know exactly who I would beg at Liberty Mutual to take on my new company if I were to setup a company. Tim: Well, I knew some of the people there. By virtue of my partners putting me in charge of marketing, I started to learn who all the clients were. Tim: I hadn’t met, actually, the person who gave us our first assignment. It was someone who I had never personally met. But I think he knew a little bit about us and so on from the past and then he knew I’d split off. I just was doing what a sales person does. I just kept calling people. At some point, you keep hammering away on the boulder something is going to break off. I’d love to tell you this like awesome story of what happened. But he was the guy, the first one when I picked up the phone and asked for some work, he gave me a case. Andrew: And this is something that you said to me. If we can pass on one lesson to the audience form this interview, it would be this sense of persistence. That’s what helped you, Tim Fargo, get here and that’s the one thing if the audience takes away will give them a lot of value. That’s what you’re talking about applying at Liberty Mutual. Tim: I think it applies across the board, whether it’s the lawsuit–it’s great when you see all these things on like TechCrunch or whatever, these guys sold or they made a bunch of money or they got a big equity offering and la, la, la, la. The great news, it’s wonderful. That part is absolutely fun. Don’t miss it. But be prepared for things that sub-optimal, people that aren’t that great to work with, people that you hire that you think are going to be awesome and they’re quite a bit less than that. But you can’t let any one of these things define you. You need to keep moving along. There are times where you might feel like giving up. But you don’t have to. It’s great to like take stock of where you are and realize that, “Hey, if I was starting over today, I’ve got 20 clients or whatever it is. I don’t have great revenue, but I’ve got a $200,000 run rate.” I don’t make a lot of money at that. But would you start the business over tomorrow if someone said, “Hey, I’ll hand you a $200,000 run rate and 20 clients?” Well, the answer, of course, is yes. So, you need to keep coming back to that, in my opinion. Tim: It’s very easy to get ground down by the little minutiae of a day and people telling you something sucked or an employee going crazy on you. Things happen. It feels a little bit silly to do that. It feels a little bit self-helpy. Do you ever feel that way? I took stock. I said, “Well, I’ve got this great reputation online. I’ve got all these interviews. I’ve got these courses that are meaningful. If I were to say where I wanted to go and someone were to hand this to me I’d feel incredible gratitude, incredible appreciation for it.” But it did feel like a self-helpy move to sit there and journal it. Tim: Yeah. But I think a lot of those lessons, as clichéd as they may sound–I kind of grew up in a little bit of a blue collar neighborhood. My immediate reaction when I started encountering that kind of thinking wasn’t necessarily open arms. But you can reframe the way you’re thinking about a situation. I could even–I see it all the time with people that are in business and things are really going great but they’re so focused on one thing and they become really myopic. They’re tunnel vision on one problem. I think what you’re saying, when you take that step back, maybe it is self-helpy or whatever, but if it’s a survival tactic and it works and you get to the other side feeling grateful and empowered and ready to charge the hill again, who cares how it happened? Just do it. Andrew: Right. You get your first client. You start to build up some revenue. You’re still in your house at that point, right? Tim: Yeah. Definitely. Me and the dog. Andrew: Okay. Does being in your house factor at all into building the company or is it something that you’ve said for years because it shows where you started from, that you started from nothing. Was there something special about being in the house? Was there something meaningful? Was it about cutting back costs so you don’t make the same mistake with the events business that led you to bankruptcy? Tim: Yeah. I probably have gone the other way completely. I’m a little bit–I’m very expense-conscious now. I think it’s very easy to justify, “Well, it would be nice to have separation and it will be easier and so on and so forth.” But there’s also a little bit of a magic to like hunkering down and cutting absolutely everything away that doesn’t make a difference. I remembered when our accountant–he’s still my accountant today–but when he first came into Omega’s office, when we had finally moved into an office, nobody had a desk. Everybody had a folding table. I could tell he was a little nervous because it’s like a real CPA firm, right? I think he was a little concerned about getting paid or something. His name is also Tim and I said, “Tim, the reason we don’t have desks is because desks don’t generate any revenue. When they start generating revenue, we’ll get desks.” So, I really believe in that. I don’t know if it’s become like a mantra from bankruptcy or whatever. Andrew: What’s the mantra? How would you phrase it as a mantra? Sorry, I paused there for a second because I thought you were going to give us the mantra. Andrew: You finally were because of your clients able to move out of your house into a real office, folding tables and PCs and chairs. Did that help grow your business at all, to have moved into some place where you could bring in clients? Tim: Well, clients never came to us, so that was another thing that made the quality of our office and kind of the furnishings pretty irrelevant. But in terms of–let’s just say it was nice to be able to at least have a way to turn off. This is pre-smartphones and so on. There was a much better opportunity. Even if you get home at 9:00 at night to at least at 9:00 at night say, “Okay, I’m out of there. I’m done.” But if you’re working out of your house, that moment never comes. Andrew: I had that moment also. You feel guilty for even sitting down and relaxing for a little bit because the computer is right there, the office is right there. You should be doing one more thing. What are you, a slacker? Get up. If you keep doing that, you’re exhausted. There’s no creativity. I’m looking here at my notes from your conversation with Jeremy Weisz, our producer. You did, in your first full year of business, $1 million and then $2 million the next year. How do you get to $1 million? Tim: Well, from the beginning, we kind of did what I call the pufferfish routine. Our offices were horrible and furniture was horrible, but our brochures were beautiful. Tim: So, all the things we were doing made us look like we were really slick and on top of it. We were selling really hard. As soon as we could, we started layering in more investigators. There’s no easy way to scale a service business. You’ve got to hire people. Andrew: These are full-time invesgiators that your’e bringing in? Andrew: Is it the more investigators you have the more business you have because insurance companies just have a deep need for it? Tim: It’s more this kind of crazy balancing act where you’ve got, say, 200 investigators or at the time let’s say 10. So, you’ve got to have enough work to keep those–so, let’s say it’s 5 working days a week. So, you’ve got 10 people. So, it’s 50. You need 50 days of surveillance per week to keep all these people occupied. So, typically you try to keep a backlog so you’ve got a little bit of cushion. You don’t want the backlog to get too big because then the clients are, of course, upset that you’re not turning things around. Andrew: How do you balance that? I’ve interviewed other people who have had that same issue. If they hire too many people and don’t have enough work for them, then they lose money and their people end up getting frustrated and vice versa it’s a problem too if you don’t have enough people for your clients and your clients get frustrated and they take their business somewhere else. Is there some calculation that you use to figure out what the right balance is? Tim: When we were smaller it was easier. People were typically, all of us, everybody was a bit overworked. Staffing–we were typically chronically understaffed and everyone was working harder to compensate that way. But as we got bigger, what we would generally do is we would run promos for the sales reps to try to build in work. We, over time, we got to know where our slight slack periods and things were. So, we would try to–like going into the holidays, which actually is a really good time to watch people because they tend to let their guard down and so on–but we also know that clients, when they’re busy with a glass of eggnog and a piece of fruitcake, they’re not making assignments. So, building a backlog going into that time of year was really important. So, we would structure the promos so that we knew we had a backlog we could burn off until people kind of got back after the first of the year. Andrew: So, you have to do promos to get insurance clients? Andrew: They don’t just have a relationship with you and then you’re one of their people on call? Tim: We’re one of their people, but they have other vendors. That’s probably the most difficult part of that business. In general, there exceptions, but in general, there were no giant contracts. It was one rep getting one case from one adjustor and that case getting worked by one investigator. You just had to do a lot of that. Andrew: Oh, so it’s constantly selling to your clients over and over again. Tim: Yeah. Lots of selling. Lots of selling. Tim: I think actually I was watching your Steve Sims interview, workshop. Andrew: Oh, he’s fantastic, isn’t he? Tim: It’s interesting because some of the things he talked about, I’m taking notes and I thought, “This is really funny,” because did a lot of this stuff. We were using Act but one of the things we always try to do is make sure you like kept notes of what was going on with the client’s life. And one of the reasons I explained to the sales people was considering the job of the insurance adjustor. An insurance adjustor is basically a piñata filled with money. They get beat on by people all day long. Andrew: Trying to knock the money out of their pockets and onto the ground so they can pick up. Whatever that may be, you need to position yourself as being that friendly person for a couple reasons. One, it generates more sales and two, in the event that there’s a problem–and when you’re out doing investigations, there do tend to be problems–you’re going to be able to have at least the time to explain yourself, whereas if you’re just another number, if you’re just another vendor on the roster, you’re going to get clipped. Andrew: I see. So, you guys would go into Act and if they said something about their daughter taking karate class, that would go into Act into your CRM. Andrew: Do you still do that to this day? Tim: Well, I don’t have the same kinds of clients. Tim: I made a note that you got a quote in your interview with John Lee Dumas when you worked, I guess you spent some time in the office of Ace Greenburg at Bear Stearns. Andrew: Yes. Ah, so you file that away mentally. But it wasn’t written down somewhere. Tim: Oh, it’s written down somewhere. Andrew: Oh, it is? Where? Tim: It’s just in–I use Google Keep, which is not the most elegant tool. I know people that probably use Evernote, which is a much more sophisticated tool, but far exceeds my bandwidth mentally. So, I use a real simple tool like Keep. I put notes in there and I also tend–and this is also very primitive but it works for me–I tend to email things to myself. Andrew: I do that too because I know I’m going to search for you in my inbox before I do anything else. Tim: Well, and I do that. I’ve had a Yahoo account, like a Yahoo Plus account with unlimited memory forever. So, if I want to know, “Who’s the VC I met with in whatever year?” I can go back and look that up. So, it’s real handy. Andrew: I see. Is there a specific record in Google Keep for me and then another one for someone else or if there’s another thought that comes to you or another thing you want to remember about me, create another note about me with my name in it? Tim: For the moment, there’s just the one note. But here’s hoping we’ll be building on that. Andrew: And then there would be a second note and so on. Tim: I was making notes just for the interview. If you brought something up, I wanted to try to make some things top of mind. Andrew: I see. I’m asking because I haven’t found a good CRM since Act. I feel like Act was such a good, simple program that everything is too much or not enough. In Act, you could create a field that said something like, “Soda preference.” And if that’s a major thing for you, or, “drink preference,” if that’s a major thing, you create a field for it and every time you meet someone if they’re drinking something, you go into your phone and write down what their favorite drink is and then the next time you see them, you buy that drink for them so that they have it available. I don’t know another app that does that and frankly that also, since I’m an Apple user, that would save all that stuff into the Apple contacts so I’m not stuck with my data in their software. Anyway, that’s what I was asking. Tim: If you find something, please let me know. I’ve tried a few like social media-integrated tools, but as you mentioned, I found them all to be a little bit too complex. I don’t want the job of content management to become the job in and of itself. I want it to be something that serves what I’m doing. Andrew: Right. I just want to know at the end of conversation with Tim, he told me something that I should remember, like he used to use Act, go write that down. And I do want social media in there because I want to know what you’ve written on Facebook that’s important or what you just tweeted out or your LinkedIn contact history. I now have an assistant go into your LinkedIn profile and pull out your timeline for me so that I’ve got that on my screen. You’re continuing to build up your business. It sounds like everything was okay. You told Jeremy, “Sales were crazy–upper case CRAZY. I called my doctor because I thought I was going to have a heart attack. I was afraid of all the things that could go wrong.” Why is it if sales are crazy that you’re about to have a heart attack? Tim: Well, part of it is what I explained to you. Andrew: Keeping this balance of enough work for your people. Tim: Well, and there’s a whole infrastructure there. You have all these people and then you have the support people that are serving the investigators. One of the things that maybe ties back to the IT audience–in the investigative business because we were the first ones to put some of the investigative data on the web. We not only used it for clients. We also used it for investigators. So, just the amount of information we were moving around and the amount of investigations we were doing all across the United States, you’re running like this fairly sizable police force of people that are out doing things. And lots of crazy stuff is happening. So, of course it’s very positive. But at the same time, there’s a certain amount of it that’s a little bit–you try to create an infrastructure around it but it can get a little unwieldy. Andrew: Okay. And did you have anyone to turn to or did you have any kind of a mentor or some kind of entrepreneur group to go to? Tim: Thank god for one Saturday I spent sitting in my office. I was reading business week. I had a chill out moment. I came across YPO. I was like, “I qualify for this thing.” I have to say, YPO Is a guy that was in my forum was an investment banker and he’s the guy that represented me in the sale of the company. Another one of my forum members introduced me to the actual buyer. It changed everything to be able to have access. I think that’s so critical for people to have access not only to people that are in the same boat. That part’s lovely to be hanging out with people, “Hey, are you going through this?” But it’s even better to be hanging out with somebody who went through that like three years ago and is way past it and can tell you all the things that you’re thinking about but you should disregard. That was huge for me. YPO was absolutely a phenomenal experience. Andrew: I’ve heard that a lot from people who have been a part of it. The one knock I’ve heard about it from tech companies is a lot of the members in the forum don’t have enough of a tech background to relate to what the tech guys are going through. Tim: They take Young Presidents and they attach different words to the acronym YPO. One of it is, “Your Parents’ Organization.” And you do get some multi-generational people that are trying to get their feet under them. But you know, at the same time, there’s a great part of the process there where it’s easy to think, “Oh man, it must be so nice for you to just like be in charge of this multi-billion dollar business that just fell into your lap when dad decided to retire.” But you know what? That guy goes to every family reunion, every Thanksgiving, every holiday is a board meeting. Everyone is talking about distributions, wanting to know what’s going on with the business, how much money are we going to get this year? I don’t know about you, but that’s not my idea of a holiday. Andrew: I don’t mean it as a put down. I’ve actually heard incredible things about that organization, both on camera here and people I’ve interviewed who have told me that’s the best group they’ve had. I just that bring up as the only issue that I’ve heard. I think they even started an experimental tech only group which someone who I interviewed was invited to join and then he missed it for a moment and they said, “Well, we told you we’re just experimenting and it’s open and then we close it up and it’s closed. You’re too late.” So, he’s hoping they’ll get to open it up again. But that’s a great recommendation. I could see the value of being in there. Why did you sell the company? It seems like things were growing well. Yes, you had a hard time with this near heart attack from having all these balls up in the air, but it seems like things were going well. Tim: You know, of course any business can suffer a problem or say you have a tech company. There could be a shift in technology. But when you put a couple hundred people on the road every day following people around, that’s a pretty big trail in the liability potentially because things happen. Traffic accidents happen. We routinely were sued for invasion of privacy. We won every case. But there’s always that kind of floating around like this cloud. Tim: I’d rather go ahead, put a stake in the ground and enjoy some time, completely chill out, spend time with my kids and I’ll figure out something else later. But I need to monetize this because if this evaporates on me, the psychic cost would have been absolutely massive. Andrew: I think it was in your book that you talked about how you saw the money in your account. Is that right? Andrew: You had an ATM moment, didn’t you? Andrew: What was the ATM moment? Tim: Well, growing up as kind of a blue collar kid, you always dreamed about having some money. The transaction was mostly stock, but there was still a substantial piece of cash that was much larger than most people’s bank balance. So, I had a few million dollars in my account. Andrew: And how did your life change because of that? For me, I could sit on the beach and have no more worries, that I would sit and read the newspaper on the beach with a cup of coffee and a good croissant or something. Tim: Yeah, I would say it was pretty much the same. I was listening to you talk about that, like the jet ski thing. It really expanded my ability to sort of like go do things with the kids. After we sold, we actually moved to Europe. We sold the house in Florida. We’re moving to Stockholm. We’re in Rome and we’re staying in a beautiful hotel and we rented a beautiful house in Umbria. That was really nice. Andrew: How old were your kids at the time? Andrew: Wow. And it gives you more time, I imagine, to spend with your kids that you could actually be there with them. Tim: Yeah. I don’t know that it necessarily resonates with them. Like a lot of things for children, they sort of completely adapt to whatever is around them. But Dad was around. From the time they probably could remember well, I was always a fixture in the house and I was reading The Economist. I’m on a PC checking something on Bloomberg or whatever. So, that just seemed natural for them. But the snow would fall in Stockholm and we had this really steep driveway. So, we’d be out there with snow racers racing down the driveway. Good stuff. Andrew: So then everything is going well. Why start out TweetJukebox.com? Tim: I guess a couple things. This maybe goes back to your analytical question or analysis question about like why do I try to show off or something. But I started this service business in a field that’s not exactly populated with the most like heavy duty business expertise. I had this thing. It looked like something I could turn into a business. Can I make it in a quick kind of a techie business? Do I have the skill set to make this happen? Maybe I just stepped in mud and got lucky. Tim: And you know, as you may agree or not, but once you have a little bit of money, you kind of adjust. There’s that initial euphoria and then all of a sudden what used to be just like a pretty rocking hotel is sort of just your standard. Andrew: Yeah. I see what you mean. Tim: It would be fun to see if I could upgrade one more time. Tim: Pretty much. It was funny because a friend of mine was asking me, “Don’t you worry because there’s Buffer. There’s Meet Edgar.” There are a lot of different tools. And they’re either where we are or where we’re headed. I said if you want to win the heavyweight championship, you don’t get to go in the ring against the little tiny guy. So, you’ve got to expect a few punches. Actually, the similarity there ends because it’s not kind of a zero sum game in my opinion because I think there are a lot of people who aren’t using the same tools in the same way. So, I don’t necessarily have to take–I don’t need to take Joel’s clients from Buffer to grow. I can create new people who want a new kind of thing that’s a little different from what they’re doing. They may in time be deciding between me and them, but maybe their initial acquisition into the marketplace, so to speak, is through us. We’ll see what happens. Andrew: I like how in the store, people can get Malcolm Gladwell’s tweets, Oprah’s tweets, Ken Blanchard, Gary Vaynerchuk–that’s what’s in the store, right? Tim: Right. Yeah. We’ve created some of those on our own and now we’re inviting influencers to create some of their own stuff with the idea of kind of becoming like the iTunes of content. Andrew: How did you create it on your own? Tim: We went through things that they’ve tweeted. Let’s say John Maxwell–there are a zillion quotes. The guy writes a new book every year or something. There are a lot of quotes that are attributable to him and so on. We assembled some Jukeboxes that people can take down and use and they’ve been popular. Andrew: I love that model because it means that you get the reputation of Bill Gates and the content of Bill Gates to your customers without having to do biz dev with Bill Gates’ people and trying to convince them that he should be in this Jukebox store. Tim: Well, it was funny because another friend of mine was like, “Don’t you worry they’ll sue you?” I don’t want to steal anything and we’re not deriving any revenue from it. If they ask us to take it down, we will. Andrew: Yeah. But the retweet is not something you can get sued for, I don’t think. I guess people can sue for anything. Tim: Yeah. But I think this, there’s nothing derogatory and I wouldn’t let anything derogatory be in the store anyway. Andrew: I should say the book that I mentioned earlier is called “Alphabet Success: Keeping It Simple, My Secrets to Success” by Tim Fargo. It’s available on Amazon Kindle. It’s available in paperback. It’s actually even available–and this is something that–where is that? Too many freaking tabs. It’s even available to people that have Amazon Unlimited, which I happened to be talking about with some of my audience members. All right. Cool. Thank you so much for doing this. Oh, one more thing. I got some hate mail this morning for not asking guests how my audience can thank them and connect with them. I didn’t even get a chance to read it because I was just looking at the intro of the mail and then continuing with my sandwich. Tim: Yeah. I’d love that. So, that would be a huge payback. I’d appreciate it. Andrew: All right. It’s easy to sign up, right? They just walk over to your site. They click the login with Twitter and then they’re pretty much in and then once they’re in they can take a look at some of the stuff that we looked at. I was even hunting around to see if I could find some pages that you guys have ignored and don’t’ realize are still up but gives me insight into the way your business works. I couldn’t even find any of those. But I did find, as a result, your 404 page which was really well done. That’s one of the things that I do, I’m constantly looking and seeing, “What else am I missing?” I know I missed a bunch with you. I just don’t know what else is out there. What I mean is I did a site search. Here’s one of the things I do with some of my guests. I do site:their domain. And I see all the pages within their site that Google has indexed. Sometimes people have pages that they forgot about completely, like a hate page against their competitor or a new tool they thought they were going to put on. You guys don’t have any of that. All these pages that shouldn’t be in Google link me to that 404 page which I really like. Is it a 404 page? Yeah. Andrew: Yeah. So, here’s one for example. It just says, “Not found. Sorry, that page you were looking for doesn’t exist.” It’s really smooth. And then there’s an easy search button where I can find it within your site on Google. So, the phrase that I was hopefully trying to look for. Andrew: Yeah. It’s those little touches that I really like about your software. Tim, thanks so much for being on here and doing the interview. And thanks for being a Mixergy Premium member. Tim: Oh, my pleasure. I really get a lot of value on it and I really appreciate you having me on the show. Thanks, Andrew. Andrew: Absolutely. Thank you all for being a part of Mixergy. I urge you if you’ve gotten any value out of this interview and you want to hear more of my interviews, I’ve been running a little campaign at the end here of each interview recommending that you sign up to the podcast and if you like it, rate it. One of the ways that you can do it is just by sliding up my face or clicking on my face on whatever software you’re using to listen to this interview and you’ll see that we have show notes within the interview which will link you over to Tim’s website and link you over to iTunes where you can subscribe or rate this podcast. But even if you don’t do any of that, I’m appreciative that you’re listening to this interview. Thank you for doing it, Tim. Thank you all for being a part of it. Bye, everyone.